If you would like to view a C.A.L.M. brochure, please,click here. After talking with many advisors and clients, The APS™ has come to the conclusion that there is a significant need for a systematic process for advisors to use when helping clients with their asset protection plan. A systematic process is needed to ensure the quality of advice given and so the public can have a plan put together for them which is comprehensive, complete, and fits their individual situation. Additionally, the APS™ found that the cost for providing an asset protection plan is all over the board. 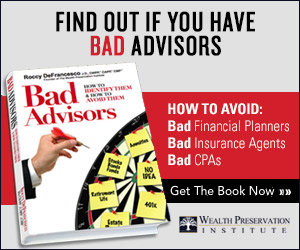 Some advisors simply charge as much as they can get away with to a public who has no idea what the costs should be for their asset protection planning tools. Imbedded in the C.A.L.M. plan is a fee schedule rate which is recommended by the APS™. In effort to have a uniform platform APS™ rated advisors can use to help their clients, the C.A.L.M plan was created. To read about the five levels of C.A.L.M. and which one is the best fit for your particular situation, please click here.